While teaching a wide variety of subject matters--math, French, humanities--Aleka has seen students from pre-K through university level expand the possibilities for their lives by seizing the opportunities offered by public education. This has made her a fierce advocate for our institutions of learning but above all for our students, particularly the underserved. She believes that in order to truly extend to all students the full set of opportunities education promises, education leadersmust design new approaches that maximize the reach and impact ofavailable resources and talents. To this end Aleka has collaborated with leaders and staff from a range of institutions including community-based nonprofits, small charters, large districts and state governments to create sustainable, scalable systems to measure and improve the ability of their institutions to deliver the education their students deserve. 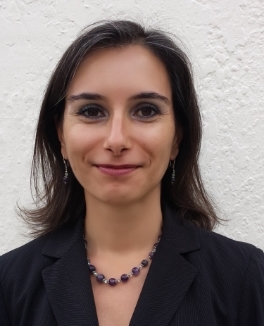 Aleka holds a BA in Math and French from the University of California at Berkeley, a PhD in French with an emphasis Critical Theory from the University of California at Irvine, and an MBA with an emphasis in nonprofit and public management from the UC Berkeley Haas School of Business. Don began his career in education teaching sixth and seventh grade science where he experienced first-hand the limitations of the current educational system to meet the varied needs of students. Recognizing the impact that systems and structures have on the ability of classrooms and schools to operate well, he transitioned to supporting schools by strengthening the organizations that support them. Don has worked primarily with mid-to-large school districts across the country, collaborating on a range of initiatives, from teacher and principal evaluation design to teacher recruitment and leadership pipeline system development. Don holds a BA in Government and Classical Civilizations from Colby College. He holds a BA in Political Science from the University of Illinois Urbana Champaign and an MA in education from the University of California, Berkeley. Dr. Bernadeia Johnson served as superintendent of Minneapolis Public Schools from February 2010 to January 2015. Dr. Johnson oversaw academic achievement for 36,000 Minneapolis district pubic school students and their 7,000 staff members. Dr. Johnson’s led the district through many ups and downs, as she faced urgent pressure from the community to improve educational outcomes—especially low-income students and students of color—and led the district through the tail end of a recession that resulted in mass layoffs. She also initiated bold solutions to improve education outcomes and close the achievement gap, including ending nonviolent suspensions for young children and an aggressive teacher union negotiations titled “Shift” that focused on changes to staffing, and greater school autonomy and accountability. She also initiated a strategic approach to work closely with high performing charter schools and co created a unique collaboration with Harvest Prep Network to open Mastery School. As an Associate with The Calsoyas Group Dr. Johnson advises on strategic planning, board management, and community engagement. A former 5th grade teacher and principal, Dr. Johnson is currently an Assistant Professor at Minnesota State University, Mankato where she teaches in the department of Educational Leadership. Charlie comes to the Calsoyas Group with over twenty years of practice in education. Charlie's background spans the education continuum from teacher to school leader to school leader manager and a variety of contexts, giving him deep knowledge of, and appreciation for, the challenges and rewards of the work of K-12 schools. Beginning as a grade 4-8 teacher in New Orleans, where he was recognized as Teacher of the Year, Charlie then served as the principal of a high performing 6-8 Boston area public school. In Indianapolis, he helped to lead the turnaround of a Charter School and then served as the Superintendent of a small Charter School network. Charlie brings a strong practitioner perspective to Calsoyas Group led solutions, ensuring that system level designs support the needs of schools and students. Charlie holds a BA in History from the University of Michigan, an MA in Education Policy from Stanford University and an EdD from Harvard University. Timothy has over 30 years of experience as an educator, researcher and finance professional. A former department chair and curriculum developer, Timothy’s focus has been on STEM subjects and culturally responsive pedagogy. 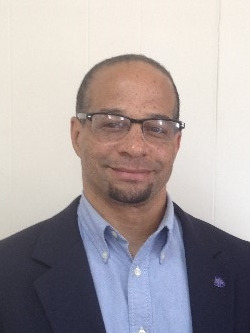 He has also led original qualitative research in mathematics-learning in African American male, middle- and high-school students. He is a WASC committee chair for school accreditation and renewal and Co-founding Associate Director of CSCOR (Center for School and Community Outreach) at San Francisco State University. Timothy holds a BA in Computer Science and Mathematics from Fairleigh Dickson University, an MBA in Marketing and Finance from Pennsylvania State University, an MA in Secondary Education from San Francisco State University, and an EdD in Education Equity and Leadership from San Francisco State University.